Meet the composers and players in the American Roots Project. Jay Anderson has performed/recorded with a wide range of jazz artists including Woody Herman, Carmen McRae, Michael Brecker, Paul Bley, Bob Mintzer, John Abercrombie, Dave Liebman, Joe Sample, Maria Schneider, Stanley Cowell, John Scofield, Lee Konitz, Vic Juris, Red Rodney, Ira Sullivan, Mike Stern, Anat Cohen, Toots Thielemans, Kenny Wheeler, Jay Clayton and non-jazz artists like Oswaldo Golijov, Dawn Upshaw, The Australian Chamber Orchestra, Robert Spano (Atlanta Symphony), Michael Franks, David Bowie, Frank Zappa, Tom Waits, Terre Roche, Chaka Khan, Michel Legrand, Allen Ginsberg, and Celine Dion. He has been featured on over 400 recordings, seven of which have received a Grammy Award. Jay currently co-leads the critically acclaimed group BANN featuring Seamus Blake, Oz Noy and Adam Nussbaum. Owen Broder is a saxophonist based in New York City. He runs in a variety of musical circles, leading his own groups and participating in others. Broder’s jazz quintet, Cowboys & Frenchmen, has received critical acclaim for its 2015 release, Rodeo, and was selected to perform at the 2016 DC Jazz Festival as finalists in the DC JazzPrix competition. He has performed with internationally respected jazz artists such as Ryan Truesdell’s Gil Evans Project and clarinetist Anat Cohen as a member of her Tentet; he has traveled with The Temptations and The Four Tops, and opened for Grammy Award winner John Legend with his own soul band, Bitchin’ Kitchen; in musical theater, he was a member of the pit orchestras for the German tour of Grease and off-Broadway production For the Last Time, appeared with the band in David Bowie’s Lazarus, and originated the woodwind chair in the U.S. tour of The Bodyguard the Musical. Sara Caswell was recognized as a “Rising Star” in both the 2013 and 2014 DownBeat Magazine Critics and Readers Polls, and as one of the top jazz violinists in both the 2011 and 2012 JazzTimes Readers’ Poll. Sara’s two groups (the Sara Caswell Quartet and the Caswell Sisters Quintet) have been heard in venues ranging from Jazz at Lincoln Center’s Dizzy’s Club to college & university concert halls nationwide. She regularly performs with clarinetist David Krakauer’s The Big Picture, mandolinist Joseph Brent’s 9 Horses, and bassist Brian Coughlin’s Fireworks Ensemble, 3-time Grammy-winning artist Esperanza Spalding, John Clayton, and Mark O’Connor. She is a member of the house band for NBC’s weekly variety show “Maya & Marty”. Nick Finzer was the winner of theEastern Trombone Workshop’s National Jazz Trombone Competition and was a finalist in the 2010 International Trombone Association’s Carl Fontana Jazz Trombone Competition. Nick’s debut album as a bandleader and composer Exposition (Outside In Music, 2013) included two tracks that garnered him the prestigious ASCAP’s Herb Alpert Award (2013 & 2015). Nick's sophomore album debuted on Origin Records to rave reviews, and a feature article in DownBeat Magazine. Finzer has performed with Wynton Marsalis’ Jazz at Lincoln Center Orchestra,Ryan Truesdell's Gil Evans Project,Bob Stewart’s Double Quartet,Frank Wess,Terrell Stafford, Lewis Nash, the Tommy Dorsey Orchestra, Walt Weiskopf, Slide Hampton, Frank Kimbrough, Carl Allen, Steve Turre, and many more. Finzer can be found touring the globe with his own projects as well as with YouTube sensation, Scott Bradlee’s Postmodern Jukebox. Wendy Gilles has performed as a leader or featured vocalist in NYC at Carnegie Hall's Zankel Hall, Jazz Standard, Cornelia Street Cafe, 55 Bar, and Shapeshifter Lab, and inmany fine concert venues across the country. Critics have roundly praised her "sweet, declarative voice"(eJazzNews) and"infectious performances" (AllMusic) on the Gill Evans Project's two Grammy-nominated albums. Miho Hazama released her debut album Journey to Journey with a 13-piece chamber orchestra in 2012, which received not only “Album of the Year – New Star Award” from Jazz Japan magazine, but also universal praise from NPR, DownBeat, and JazzTimes, among others. Ms. Hazama was recently honored to receive the 24th Idemitsu Music Award, the first jazz composer in the award’s history. A winner of the 2011 ASCAP Foundation Young Jazz Composer Award, Ms. Hazama started her career as an orchestrator/arranger for legendary free jazz pianist, Yosuke Yamashita in 2007. Since then, she has worked with Vince Mendoza, Ryuichi Sakamoto and Shiro Sagisu, as well as Japanese TV program "Untitled Concert", Metropole Orkest, Tokyo Philharmonic Orchestra, Siena Wind Orchestra, Yamaha Symphonic Band and many others. Bill Holman, whose roots as tenor saxophonist, composer and writer extend as far back as 1949 in ensembles with such artists as Stan Kenton, Charlie Barnet, and Mel Lewis, is perhaps most revered today for ushering the genre of big band music into the 21st century. He has been nominated for the Grammy Award fourteen times, and has won three Grammys in 1987 for Best Instrumental Arrangement ("Take the A Train" for Doc Severinsen and the Tonight Show Orchestra); in 1995 for Best Instrumental Composition ("A View from the Side" for the Hill Holman Band); and in 1997 for a stunning arrangement of Thelonious Monk's "Straight Chaser", also recorded by the Bill Holman Band on their album Brilliant Corners. In 2010, the National Endowment for the Arts bestowed the NEA Jazz Masters Award the nation's highest honor in jazz on composer, arranger and tenor saxophonist Bill Holman in recognition of a lifetime of extraordinary achievement. Trumpeter Alphonso Horne is a two-time Grammy nominated trumpeter and the winner of the National Trumpet Competition. Wynton Marsalis named Horne as one of the rising stars of the next generation, listed in a list of 16 young jazz musicians entitled, “Wynton’s Picks: Who’s Got Next,” in JET Magazine (August, 2011). Horne has performed with many renowned jazz artists including Wynton Marsalis, Marcus Roberts, Michael Feinstein, and Rihanna. In the 2013-2014 season, Mr. Horne subbed for Wynton Marsalis in the Jazz at Lincoln Center Orchestra, and toured with the orchestra for the 2013 25th Anniversary Tour. Mr. Horne also performed on Broadway in the Tony- Award winning shows, “After Midnight” and “Shuffle Along” featuring guest artists Fantasia Barrino, Dule, Toni Braxton, Audra McDonald, Savion Glover and many more. Frank Kimbrough has been active on the New York jazz scene as a pianist/composer for 25 years. Currently a Palmetto recording artist, his latest trio CD, Play (2006), features drummer Paul Motian and bassist Masa Kamaguchi. He has released more than a dozen recordings as a leader for Palmetto, OmniTone, and Soul Note labels, and has appeared on nearly 50 more as a sideman. Kimbrough is a founding member and Composer in Residence of the Jazz Composers Collective (1992-2005), a nonprofit, musician-run organization dedicated to presenting original works by its resident and guest composers. He holds the piano chair in Maria Schneider Orchestra since 1993 and has also toured and recorded with saxophonist Dewey Redman, vocalist Kendra Shank, and fellow J.C.C. composers-in- residence Ben Allison, Ted Nash, Michael Blake, and Ron Horton, among others. Kate McGarry, vocalist, has become recognized as a jazz artist who brings authenticity and vitality to every song regardless of genre, with six critically acclaimed CDs and a Grammy nomination for Best Jazz Vocal CD. The Wall Street Journal calls her music, "Austere and elegant," and The New York Times pronounced it, “astute and sensitive". Kate is a member of the vocal collective MOSS, which features Theo Bleckmann, Peter Eldridge, Lauren Kinhan and Luciana Souza. The group’s debut CD, MOSS on Sunnyside Records garnered a rare 4.5 stars from Down Beat Magazine. Her 2013 collaboration with John Hollenbeck Large Ensemble, Songs I Like A Lot, was lauded as a milestone in contemporary vocal jazz, receiving a Grammy nomination for Best Arrangement For A Vocalist. Collaborations with Ryan Truesdell and Jeremy Fox have resulted in additional Grammy nominations, awards and accolades. Jim McNeely has earned nine Grammy nominations as composer/arranger and conductor for large jazz bands. In 1996 he re-joined the Vanguard Jazz Orchestra as pianist and Composer-in Residence. He is also Artist in Residence with the Frankfurt Radio Big Band. Other recent work includes projects with the Danish Radio Big Band (where he was chief conductor for five years), the Carnegie Hall Jazz Band, the Metropole Orchestra (Netherlands), the Swiss Jazz Orchestra, and the Stockholm Jazz Orchestra. The New York Times has called his writing "exhilarating"; DownBeat has said that his music is "eloquent enough to be profound". He has numerous albums under his own name. The latest is Up from the Skies (Planet Arts label), with the Vanguard Jazz Orchestra – "concert jazz at its headiest,” DownBeat. James Shipp appears regularly with singer/songwriter Jean Rohe, as well as with Anat Cohen's Tentet, Banda Madga, Max Pollak's Rumbatap, Christina Courtin's band and various jazzensembles large and small. His diverse interests include leading Choro Dragão (an experimental quintet that plays turn-of-the-century Brazilian music), Nós Novo (exploring Irish repertoire), and collaborations with trumpeter Nadje Noorduis, and a trio which creates music for theater and dance with Haggai Cohen-Milo and Mateo Lugo. Shipp served on the faculty for the Silk Road Project's Global Musician Workshop 2016 under the directorship of Yo-Yo Ma. He has played for and recorded with many of world-class musicians including Kurt Elling, Kate McGarry, Sting, Snarky Puppy and Paquitio d'Rivera. Committed to using music to effect social change, Shipp was the 2008 bandleader for Carnegie Hall's Musical Connections program, and staged over 20 concerts where top-call NYmusicians accompanied court-affiliated youth, youth in HIV treatment programs, incarcerated adults, residents of homeless shelters et al. In 2015-16, he headed a workshop at Sing Sing Correctional Facility. South African jazz vocalist, Vuyo Sotashe, moved to NYC in 2013 as a recipient of the prestigious Fulbright Scholarship. He won first prize at the inaugural Mid-Atlantic Jazz Festival Vocal Competition in 2014, and performed on the festival's main stage in February of 2015. At the 2015 Shure Montreux Jazz Voice Competition, he won the Audience Prize award, placing second over-all, and placed third in the prestigious Thelonious Monk Institute International Jazz Vocal competition as the very first male vocalist ever to place in the finals. Sotashe has performed on international stages including the Arcevia Jazz Festival, the Fermo Jazz Festival, the Stockholm Jazz Festival, the Cape Town International Festival, and the Johannesburg Joy of Jazz Festival. He toured with the SAMA Award winning band Proxy in the UK and Ireland, and has performed with Multi-Grammy Award winning gospel artist, Israel Houghton. 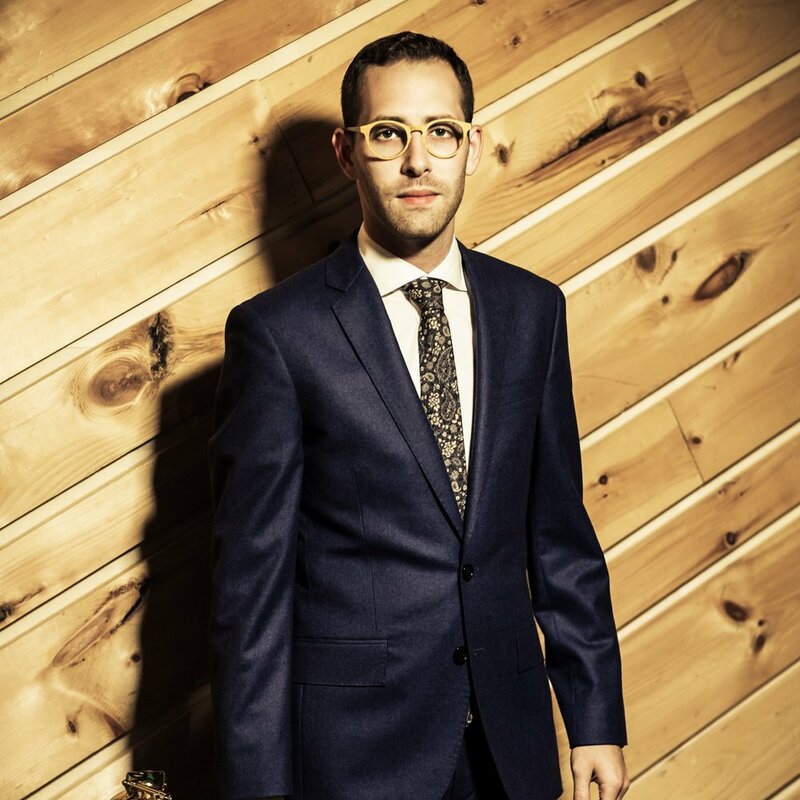 Ryan Truesdell was voted “Best New Artist” in the 2012 JazzTimes Critic’s Poll, and is best known for his award-winning Gill Evans Project. This ensemble has earned Truesdell three Grammy nominations. A skilled composer and arranger, he has been commissioned by trumpeter Ingrid Jensen with the U.S.A.F. Band of the Pacific, pianist Frank Kimbrough with the University of Minnesota’s Jazz Ensemble, and wrote a new piece for Bob Brookmeyer’s 80th birthday concert at the Eastman School of Music. He has distinguished himself as an invaluable resource in the studio, beginning in 2004, as a production assistant for Maria Schneider’s Grammy award-winning record, Concert in the Garden. Scott Wendholt has been recorded on more than forty albums, and toured extensively throughout the United States, Europe, South America, Africa and Japan with artists including Kenny Garrett, Cyrus Chestnut, Christian McBride, Vincent Herring, Don Braden, and Bruce Barth. He is recognized as a leader as well, having received a 4 star review in DownBeat for his quintet’s fifth release What Goes Unsaid (Doubletime Jazz label, 2000). Active in a variety of big bands and large ensembles, his list of credits include the Carnegie Hall Big Band (led by Jon Faddis), Maria Schneider Jazz Orchestra, Bob Mintzer Big Band, Buddy Rich Big Band, and for the last decade the Vanguard Jazz Orchestra (formerly Thad Jones/Mel Lewis big band). Matt Wilson is a Grammy nominated drummer based in New York. Matt performed at the White House as part of an all-star jazz group for a State Dinner concert hosted by President Obama. Other collaborations included Herbie Hancock, Dee Dee Bridgewater, Dianne Reeves, Chris Botti, Randy Brecker, Antonio Hart and James Genus. Matt was named the Artist in Residence at the Litchfield Jazz Festival where he conducted a much-heralded public interview with Dave Brubeck. In 2010, Wilson conducted over 250 outreach programs promoting jazz including an acclaimed Jazz for Young People concert at Jazz at Lincoln Center. Matt was featured on the covers of both DownBeat and JazzTimes magazines in November 2009 and was for 5 consecutive years voted #1 Rising Star Drummer in the DownBeat Critic’s Poll. The readers of JazzTimes recently chose him as one of the top 4 drummers in the 2010 Readers Poll. In 2003, he was voted Drummer of the Year by the Jazz Journalists Association. Willard Jenkins is a force in the jazz community and the creative world. He served as the Artistic Director of the Tri-C JazzFest: Cleveland for eighteen years, and currently for the D.C. Jazz Festival, as well as two concert series at the Tribeca Performing Arts Center (NYC) and the BeanTown Jazz Festival (Boston). As an Arts Administrator, Jenkins was executive director of the National Jazz Service Organization, and was an architect of the pioneering Lila Wallace-Reader’s Digest National Jazz Network. Jenkins is also a jazz educator, having taught Jazz History at Cleveland State University and the Jazz Imagines Africa online course for Kent State University, and contributed educational content to the International Association for Jazz Educators and to the Thelonious Monk Institute’s Jazz in America website. His expertise has positioned him as a consultant and facilitator of workshops, symposiums, conferences, and conventions all over the globe. Jenkins currently serves as coordinator of the performance component of the National Endowment for the Arts Jazz Masters program.